It was a powerfully bullish month for most world equity markets, with net gains ranging from +17.0% (Brazil), +7.1% (USA - Dow), to +0.7% (France). Despite the gains, most world markets remain within broader downward trends that began in spring 2015. 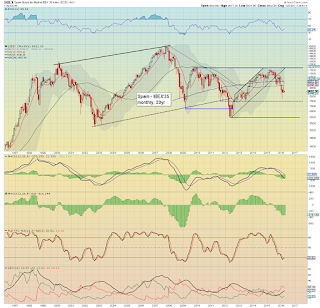 The mighty Dow climbed a powerful 1168pts (7.1%), settling at 17685. Underlying MACD (green bar histogram) is now ticking higher for the second consecutive month. At the current rate, there will be a bullish cross in May/June. 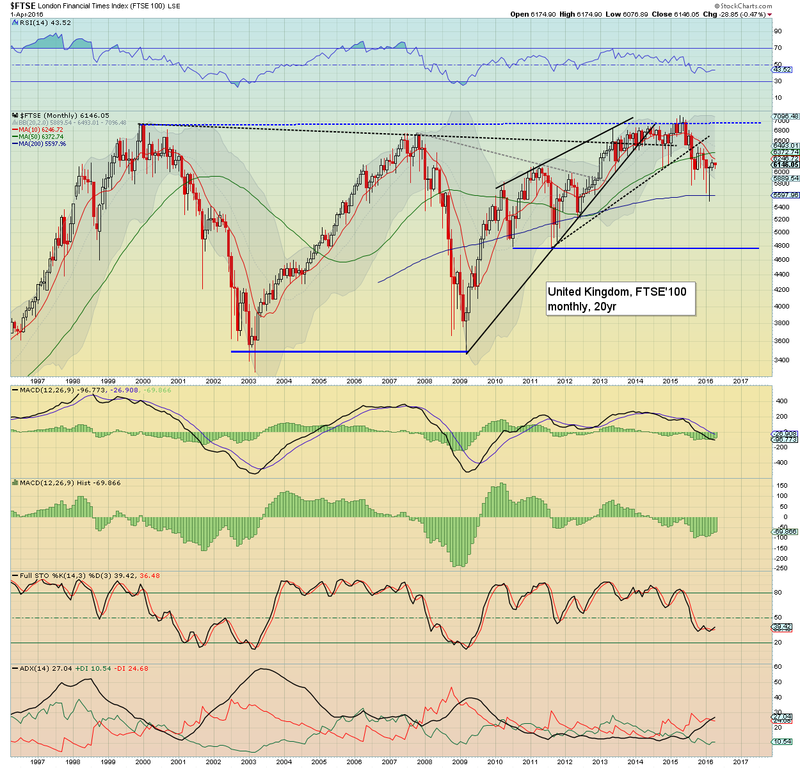 The next key level for the bull maniacs to break is the Nov'2015 high of 17977. 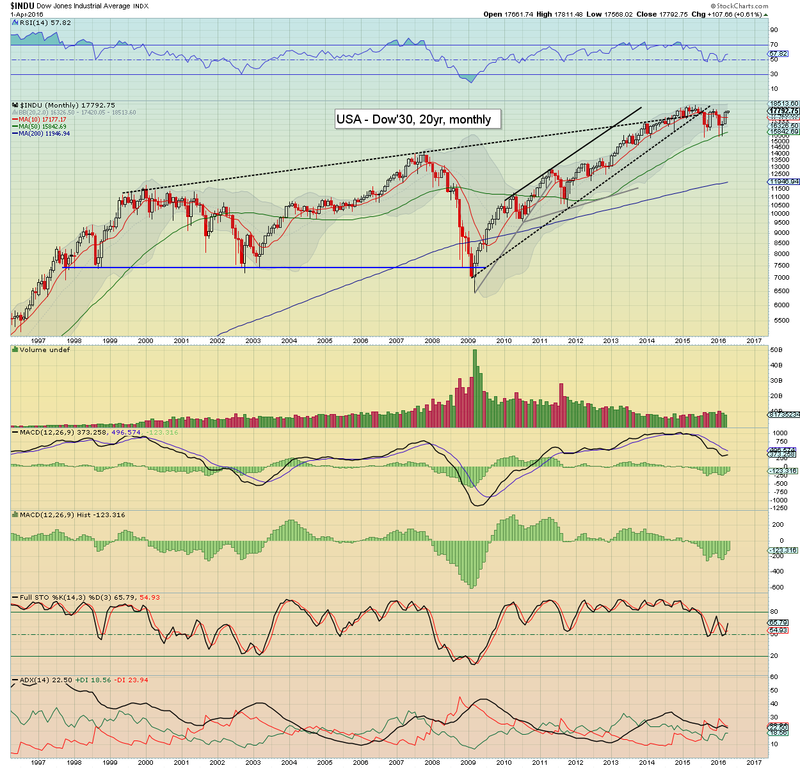 Any sustained price action >18k, would trash the broader bearish outlook. Best guess: The Dow to max out early next week, with a retrace of 4-5% to the 17200/000 zone, some chop, and then further weakness into end month. 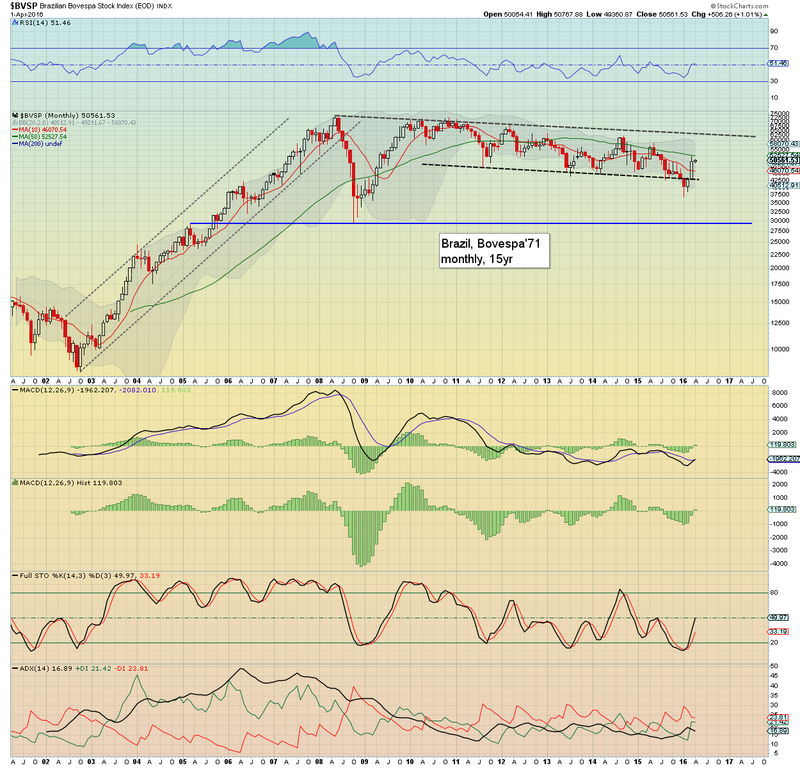 Those equity bears seeking a break under the Jan' low of 15450 are going to have be patient until at least mid/late May. 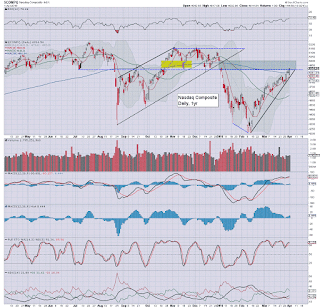 On any such break, the key support zones remain 14200/000s, and then the 12500/400s. 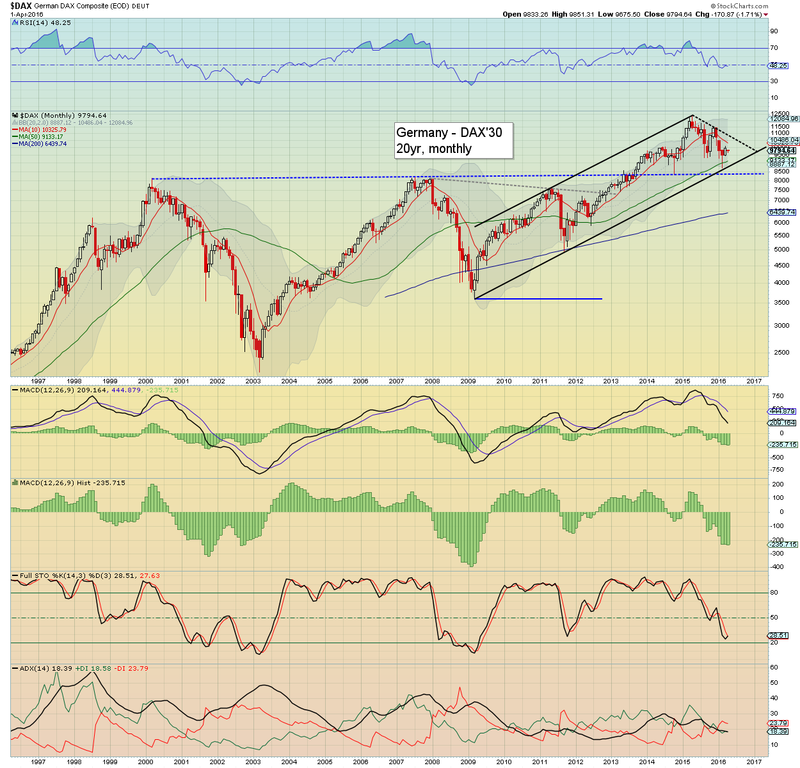 The DAX saw a net March gain of 470pts (4.9%), settling at 9965 (intra high 10112). 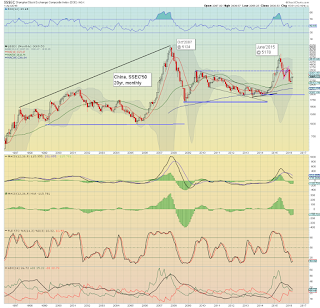 Indeed, the 10K threshold is powerful resistance, with an April 1st close of 9794. Rising support is around the recent low of 8700/8600s. 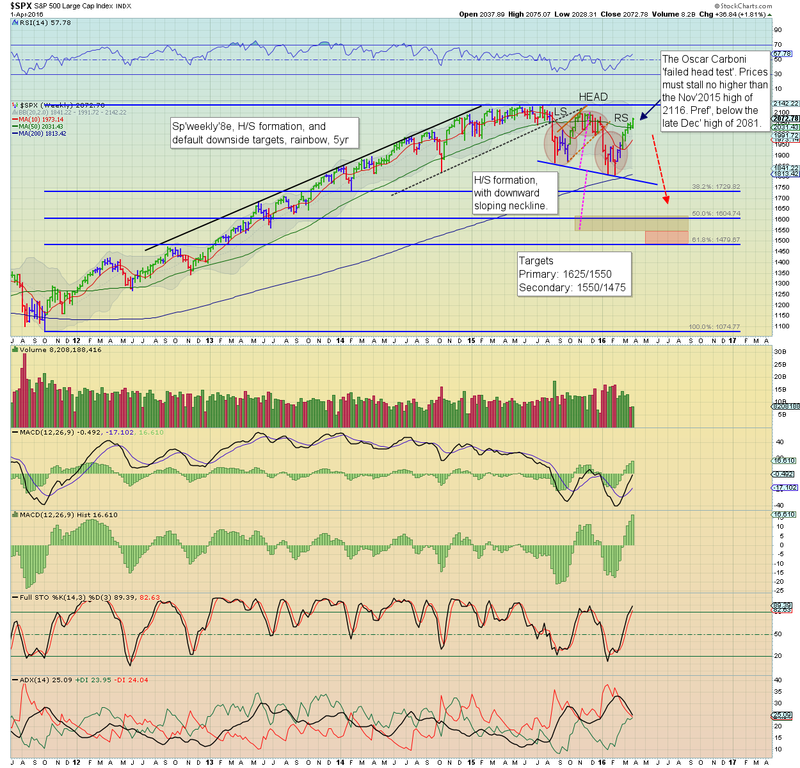 It should be noted, any price action in the 8500s would bode for 6500 'rather quickly'. 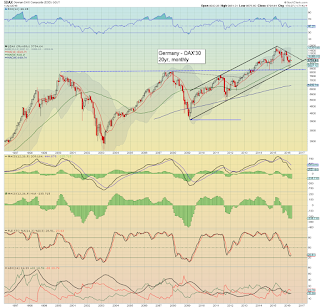 Whether the excuse might be a 'bad BREXIT' vote, or renewed concern that the central banks are losing control, the DAX is a very important market to monitor. 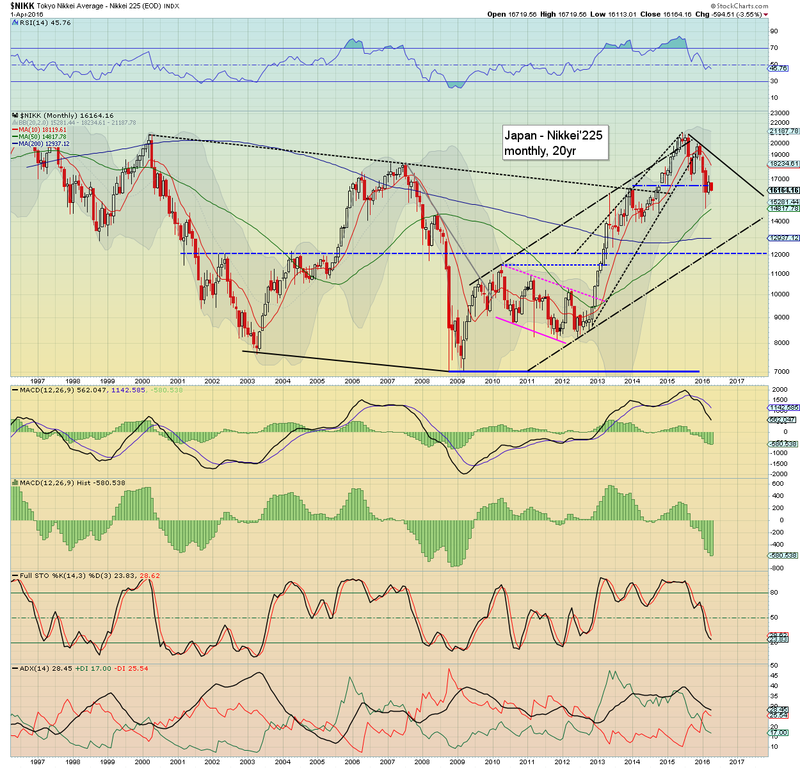 The Nikkei climbed a net 731pts (4.6%), settling at 16758. 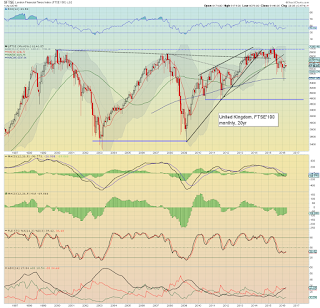 The Apr'1st close of 16164 should concern the equity bulls, as the door is opening to much lower levels. 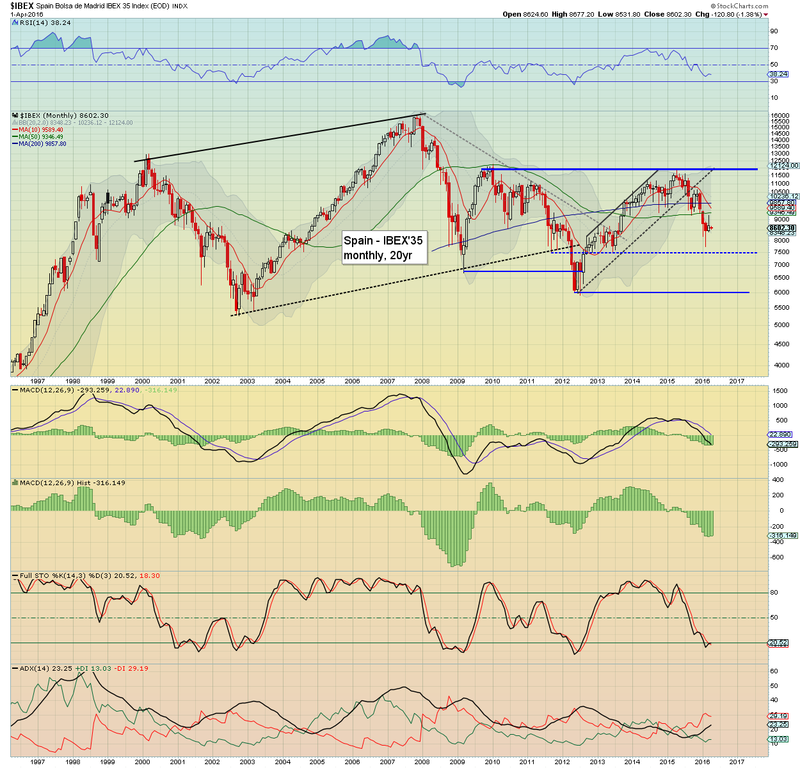 In theory, if world equity markets fail to keep pushing higher into the summer, the Nikkei is going to unravel to the 12000s. 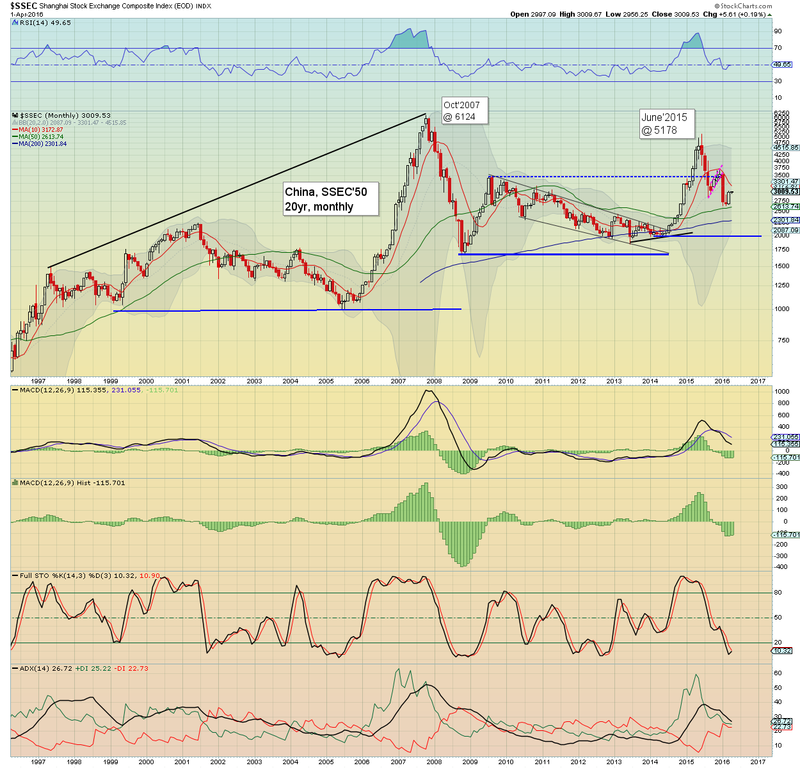 The Shanghai comp' settled net higher by 315pts (11.7%) at 3003, no doubt helped in a great many ways by the PBOC. First key resistance remains the 10MA, currently @ 3172. Sustained action above the price cluster zone of the 3400s looks very difficult. 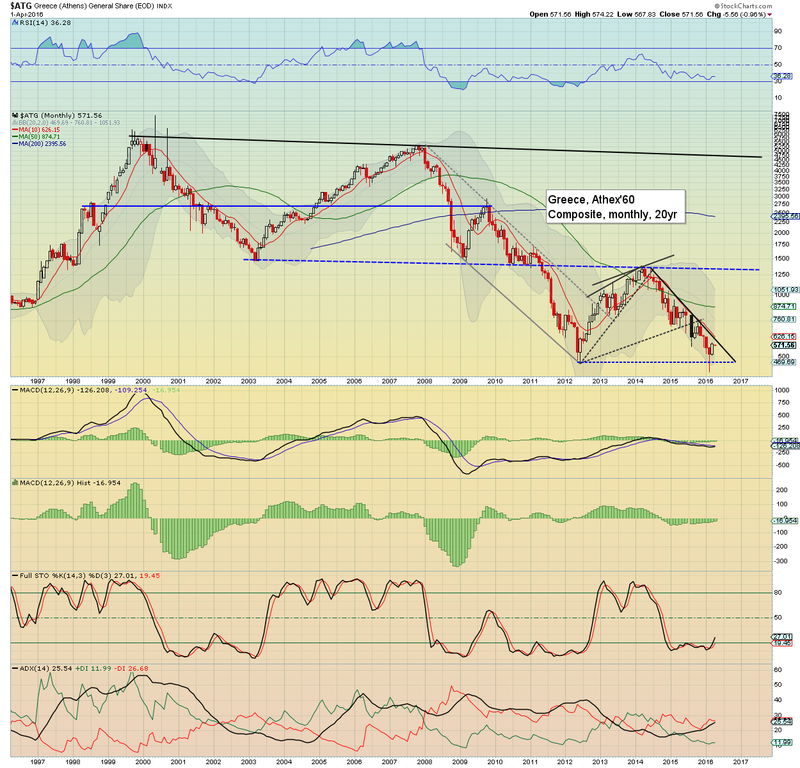 If renewed weakness, next downside target is the 2300/2200 zone. The commodity centric nation of Brazil saw the Bovespa gain a monstrous 17.0%, settling at 50055 - the best close since July 2015. 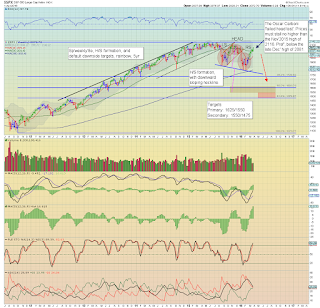 A fair question to ask is whether the move <40K in January was a false break? For now, that is difficult to ascertain. 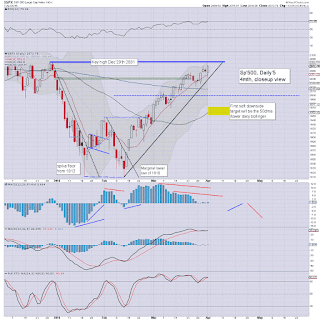 Equity bulls should be seeking further upside to the May'2015 high in the 58000s. It is important to keep in mind the increasingly unstable political situation in Brazil. The Olympics are due to be held in August, and as many recognise, the Zika virus is a very serious problem, with potentially dire demographic outcomes. Further, there are huge issues regarding the corporate giant of Petrobras, of which the state owns >60%. It is notable that the company owes well over $100bn, most of which is denominated in foreign currencies. The Brazilian govt' is extremely dependent on this single company for revenue, and ongoing corruption issues continue to destabilise a core part of the Brazilian economy. If commodity prices remain weak across 2016, and more especially, if Oil/Nat' gas prices remain broadly weak - as seems probable, the downward pressures on the Brazilian economy will likely worsen. The energy focused state of Russia saw a gain of 110pts (14.4%), settling at 877 - the best close since June 2015. It should be clear though, the Russian market remains within a devastating downward trend that stretches back to April'2011 when the RTSI was at 2134. 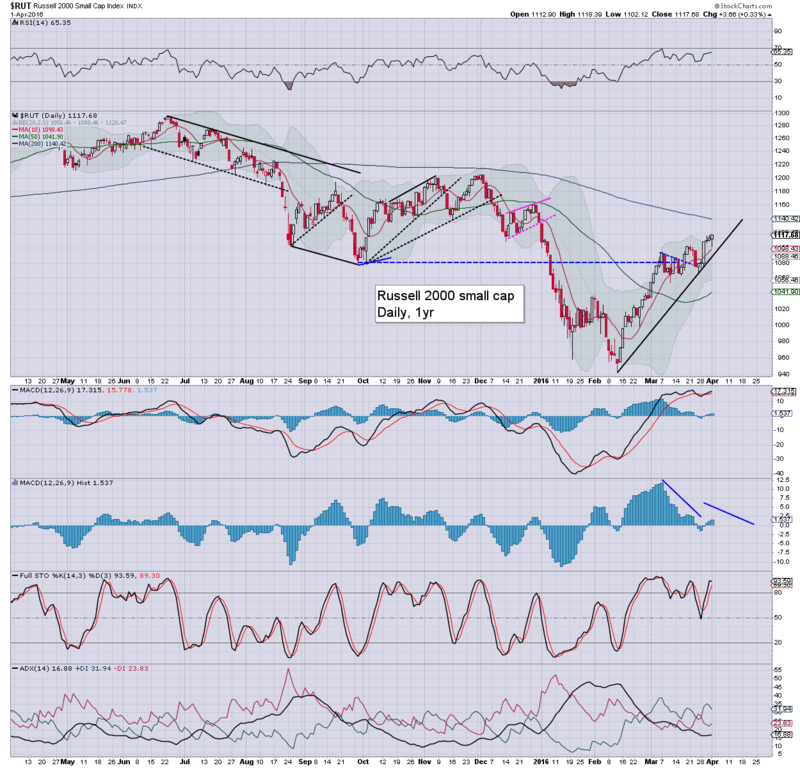 There are multiple aspects of resistance around the psy' level of 1000, and considering the probability that oil/nat' gas prices will see renewed downside into the summer, the Russian market remains especially vulnerable. 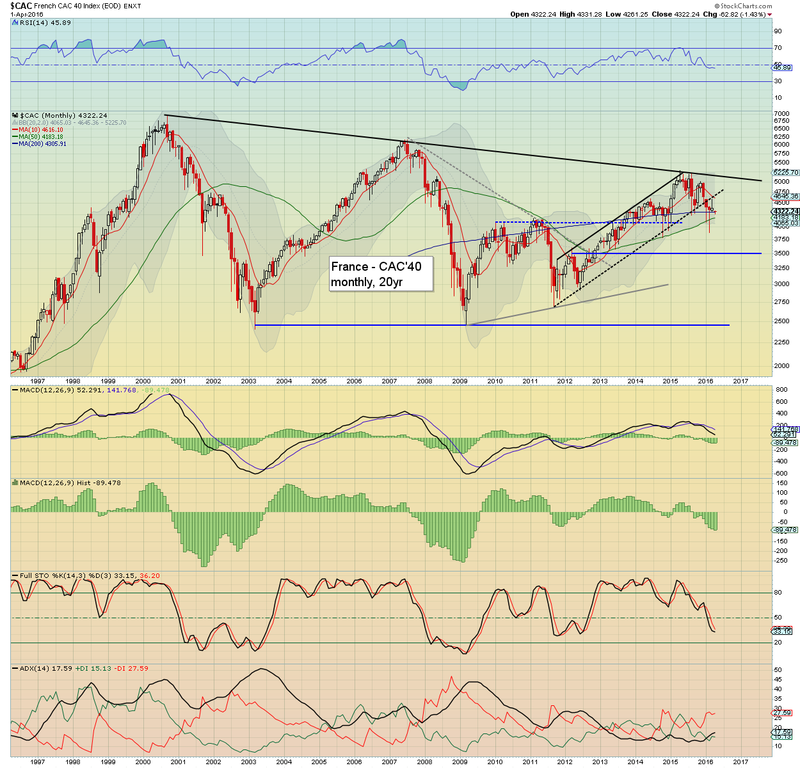 The FTSE gained just 77pts (1.3%) in March, settling at 6174, remaining under the key 10MA (6246). There is powerful resistance in the 6400s, and if the UK market fails to push any higher, then first downside target is the 5000/4800 zone - back to levels last seen in 2011.
re: BREXIT. The vote is schedule for Thursday June'23rd, and will be a huge deal to the UK... including its financial market. 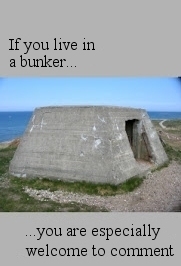 The rest of the EU will be closely watching. Many recognise that if the UK populace vote to leave, other EU states will see their own votes initiated.. with the entire EU in serious danger of unraveling. As things are, I would dare suggest that the UK people will be more inclined to vote to stay within the EU, rather than exit. Just consider that when the Scottish people finally had opportunity to split from the UK (England, Wales, Northern Ireland), they still voted to stay. So.. if I had to guess, I think the UK will vote to stay. If I'm wrong, then the geo-political situation across the EU goes into semi-chaos mode in late June, and that would massively upset the UK, EU, US, and arguably all other world equity markets. The CAC was extremely weak (relative to other markets), with a marginal gain of just 31pts (0.7%), settling at 4385. 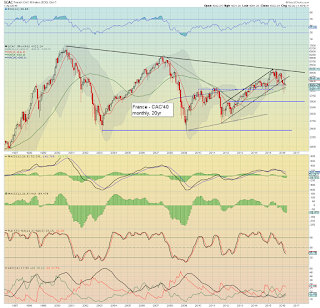 The French market looks extremely vulnerable to renewed cooling to the 3750/500 zone. French bulls need to see some sustained price action >4750 before they can become confident that the threat of much lower levels is off the menu. 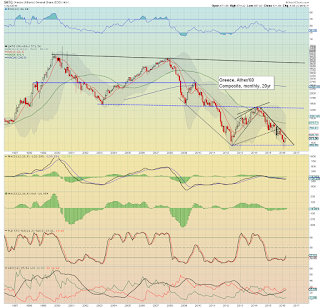 The ugliest of the EU PIIGS - Spain, saw the IBEX climb 261pts (3.1%) to 8723. Price action remains broadly weak, with the 10MA in the 9500s... some 9% higher. 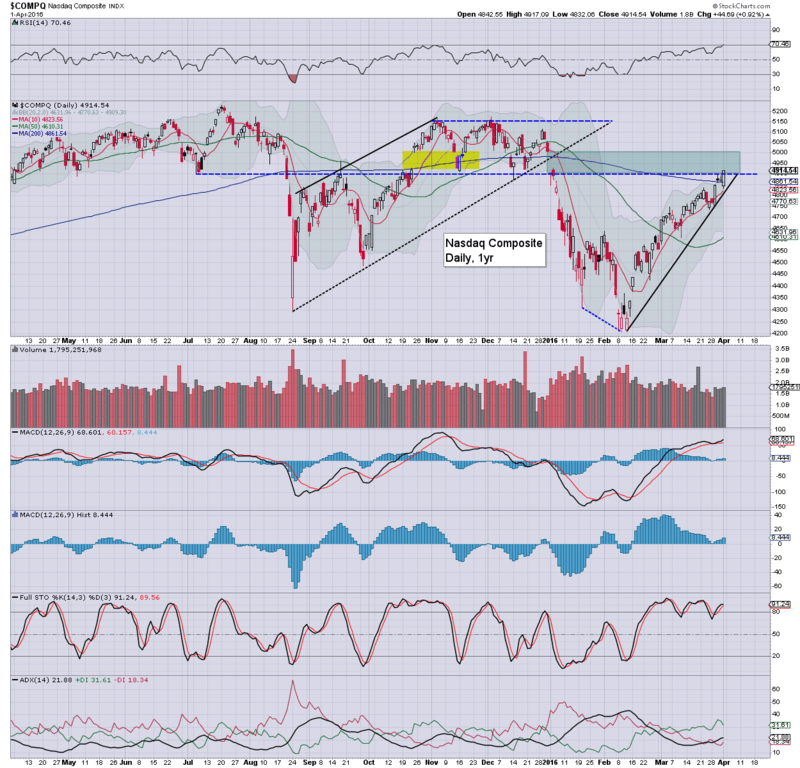 If the market sees renewed upset, downside targets are the 7500s, and then 6000. 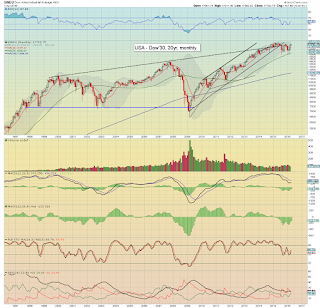 The July 2012 low of 5905 is critical, any monthly close in the 5800s would bode for a Greek style implosion. The economic/societal basket case that is Greece, saw the Athex gain 60pts (11.7%) to 577, which is 37.4% above the Feb' low of 420. 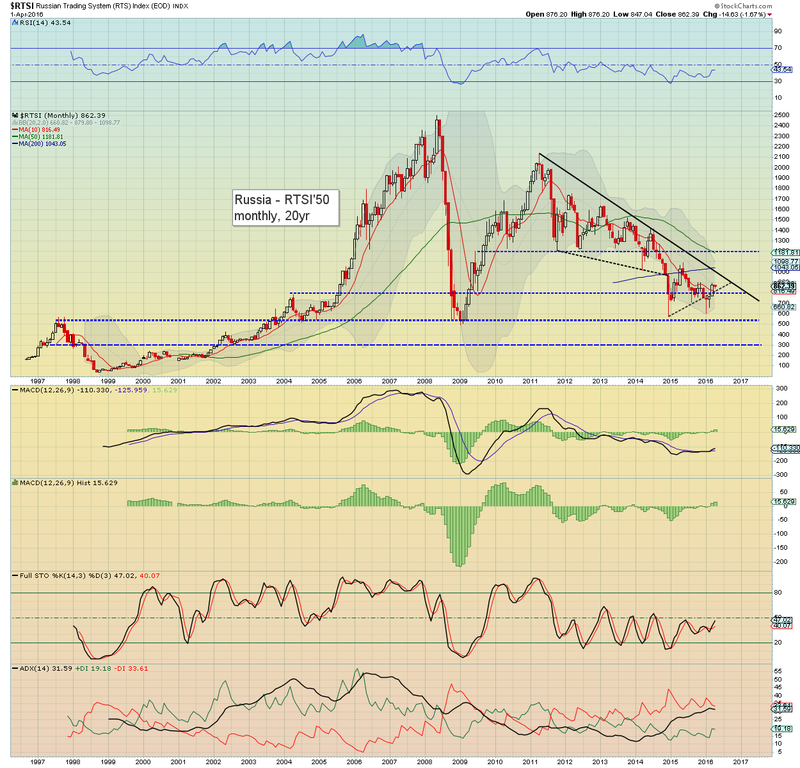 However, the Greek market remains holding within the broader downward trend from spring 2014. 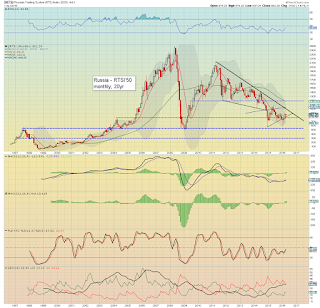 There still appears high threat the Athex will eventually trade down to the 200s.. perhaps even sub 100. After all, at some point the EU is going to stop funding the Greek populace, and then things really will get tough. Further, a reversion to the Drachma seems a given, its just a matter of when... not if. Strong March gains for the majority of world markets, after the Jan/Feb' lows. However, it should be clear that despite such gains, most world equity markets are still holding within their broader downward trends. Even the strongest market - the USA, has only managed to trade back to the levels from late 2015, rather than push to actual new highs. The equity bulls face a tough challenge across April/May. If they can't keep pushing strongly higher, the next rollover will likely undo all of the gains, with most markets set for a clear 20/25% decline from current levels. *there are a sprinkling of fed officials across the week. 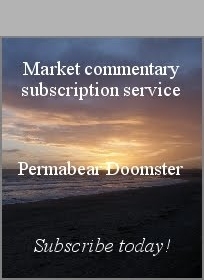 Notably, Yellen on Thursday (AH), in a 'conversation with Bernanke, Greenspan, and Volcker'. Sounds.... interesting, if you're into fedspeak. 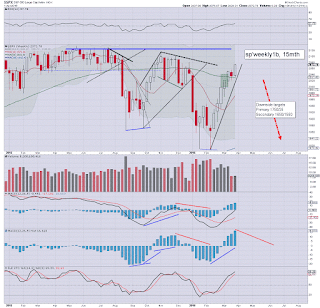 US equity indexes saw rather significant net weekly gains, with the sp +36pts (1.8%), settling at 2072. 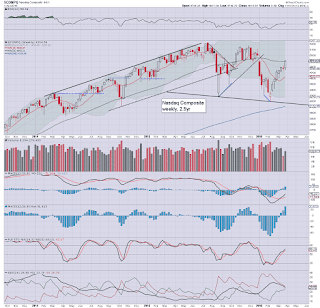 The Nasdaq comp', climbed 141pts, almost 3% to 4914. The current situation is now extremely borderline, as the bulls are within striking distance of a massive breakout above the summer 2015 highs. Suffice to add, the sixth net weekly gain of the last seven trading weeks. The bears have been teased a few times across the past two weeks, and there is yet to be any sustained/significant downside. With the late Dec'2015 high of 2081 just 9pts (0.4%) away, unless there is some spooky weekend news, it would seem the bulls will (at the very least) test that key high. In theory, the 'failed head test' would remain intact so long as the Nov'2015 high of 2116 (the Dow equiv' is 17977) is not broken above, but that is likely well above what most equity bears would still be willing to hold short... myself included. 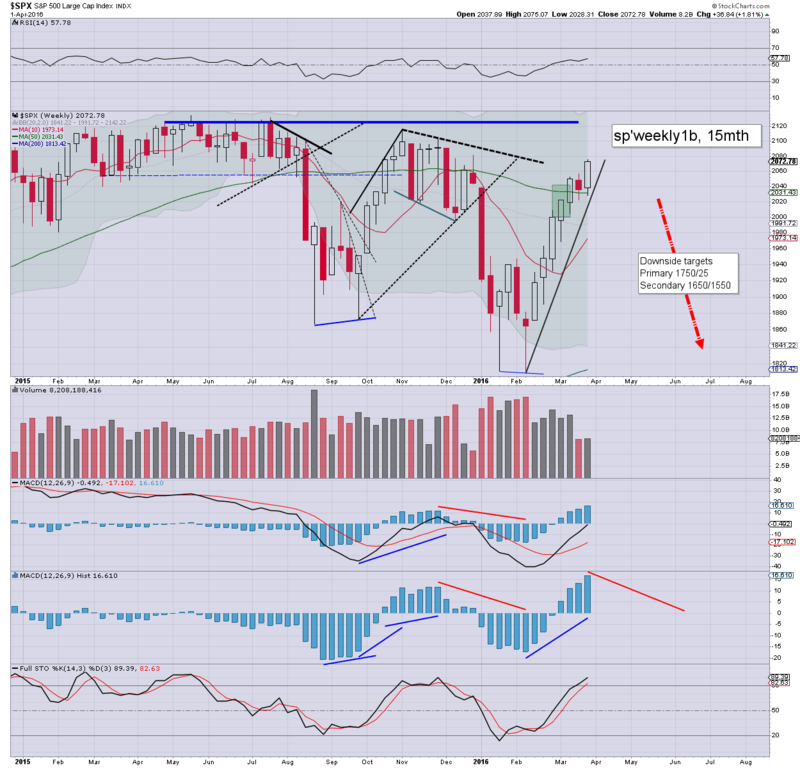 US equities ended the week on a broadly positive note, sp +13pts @ 2072, having swung from an early morning low of 2043. The two leaders - Trans/R2K, settled -0.7% and +0.3% respectively. Near term outlook is extremely borderline, as the equity bulls are set to begin taking out the series of marginally lower highs... or... an epic fail. 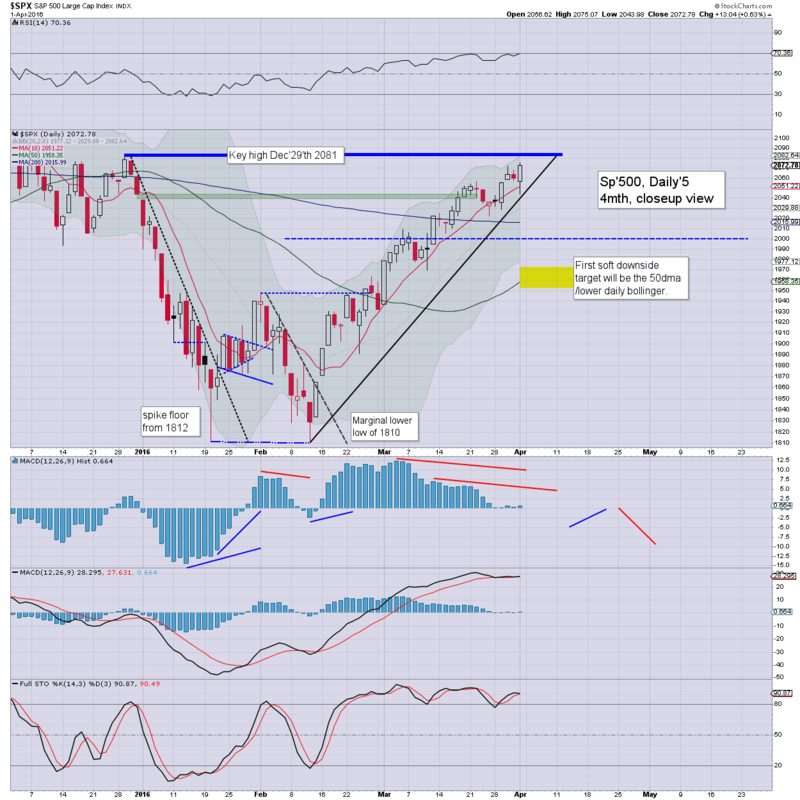 sp'daily5: a new cycle high of 2075, with the late Dec'2015 high of 2081 as first target for the bull maniacs. 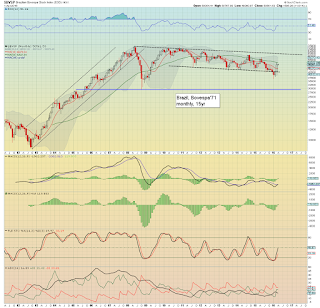 If that is broken and held above, the broader bear case is arguably to be dropped. 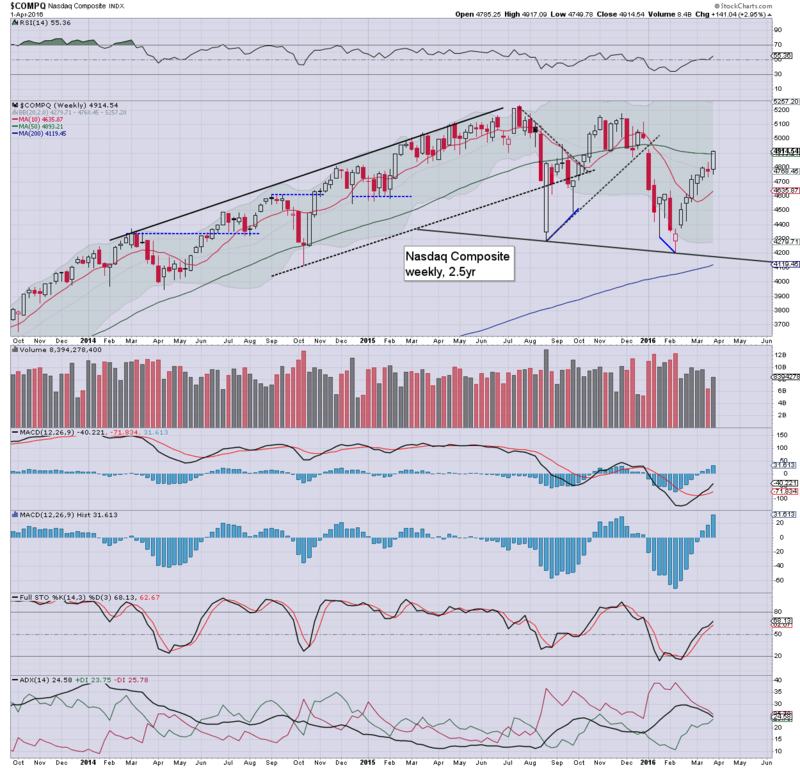 Nasdaq: on a third consecutive attempt, a net daily close above the key 4900 threshold was achieved. Next level is the giant psy' threshold of 5K. 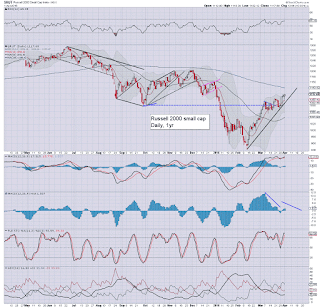 R2K: it is notable that the 200dma is now just 23pts (2%) away.